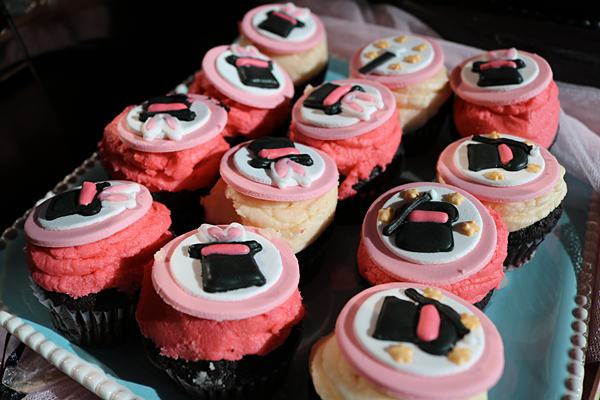 Whenever I get an invitation to attend a Benefit Cosmetics event, I do a little happy dance in my head. And why not? Every event I've been to has been crazy fun! 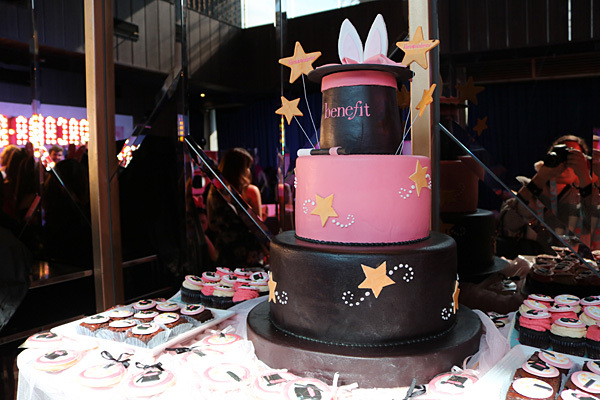 Like I said before, Benefit is a brand that knows how to celebrate. 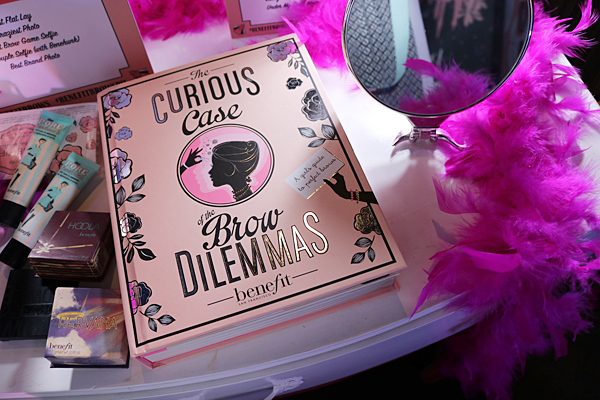 Now though, there's an added reason to celebrate with their new and complete brow collection that was officially released only a couple of days ago. 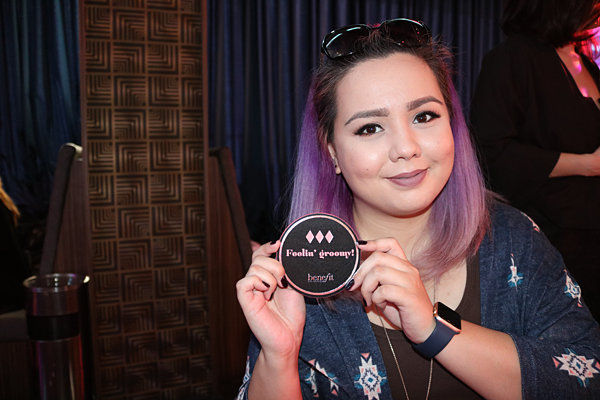 A bunch of us got a sneak peek at the collection beforehand though during their global media launch at Revel at The Palace on May 2. 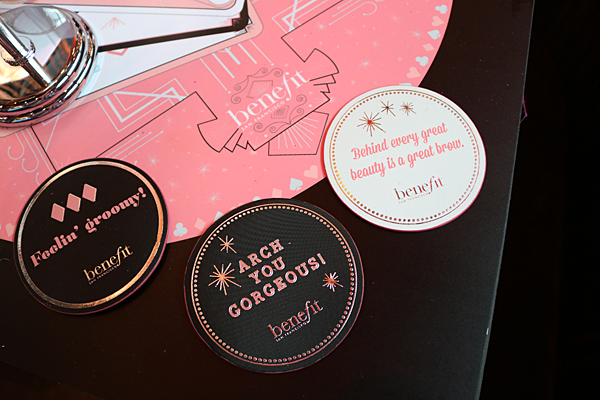 The theme for the launch was magic, but of course since Benefit loves to party it up, it was magic done Vegas style! 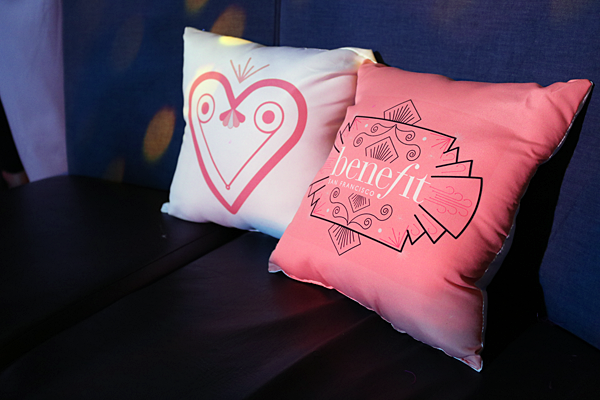 A staple at every Benefit event: the Bene-hunks! 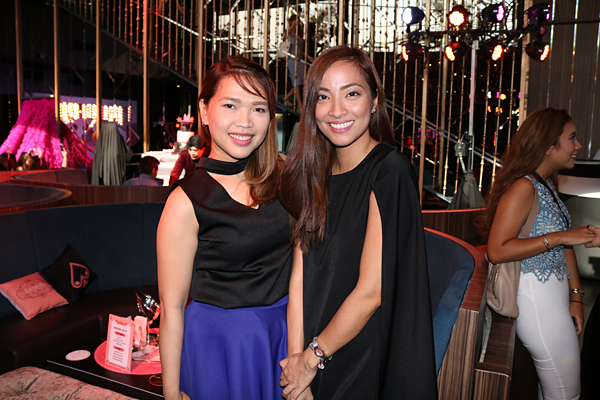 Here they are with host for the evening and the most glam-looking 'magician', Bianca Valerio. Here's me hamming it up for the camera. Sorry, but I just had to get in on the action too! Can you blame me? It's always nice to meet up with blogger friends during events! It's Nikki from Ask Me Whats and Jackie from Go Jackie Go. 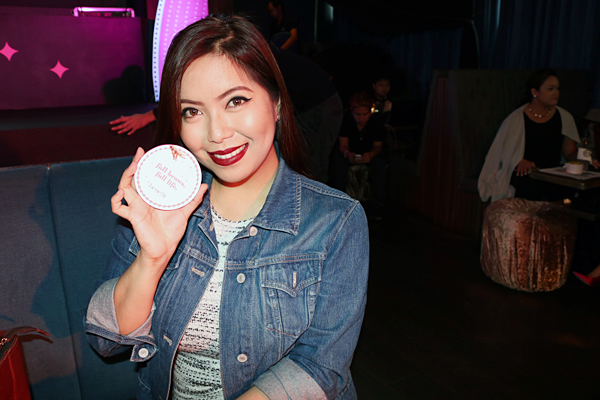 Vlogger Bea Barretto (channel) had every reason to 'feel groomy' at the event with her well-done eyebrows. Good friend and popular beauty and lifestyle vlogger, Say Tioco Artillero (channel) with her on fleek eyebrows and eyeliner. Before the program started, we were treated to an awesome performance by the Benefit 'showgirls'. These ladies were great, plus I loved their costumes because they're super sparkly in real life! To entertain the numerous female guests, the handsome Benehunks spread out and dropped by different tables to play a fun game of truth or dare. We got these two, great looking lads! Here's beauty vlogger Shebby (channel) giggling away as she tries to win a thumb war match with one of them. I, on the other hand, had to do a catwalk strut and the hottie on the left gave me a congratulatory hug after so my dare wasn't for nothing! There was a great surprise in store for us at this event. 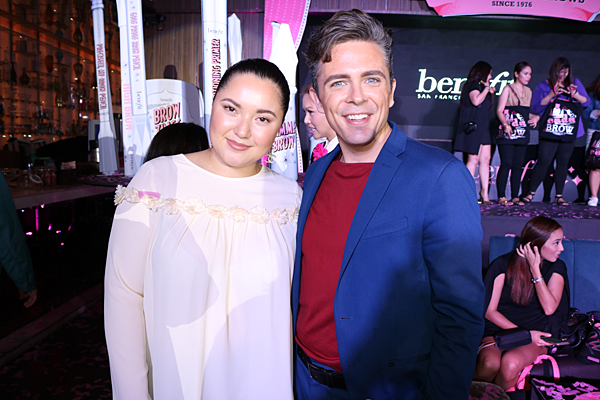 Benefit's Global Brow Expert, Jared Bailey, showed up! Well...more like he popped out of a giant magician's hat. Either way, he definitely made an entrance! 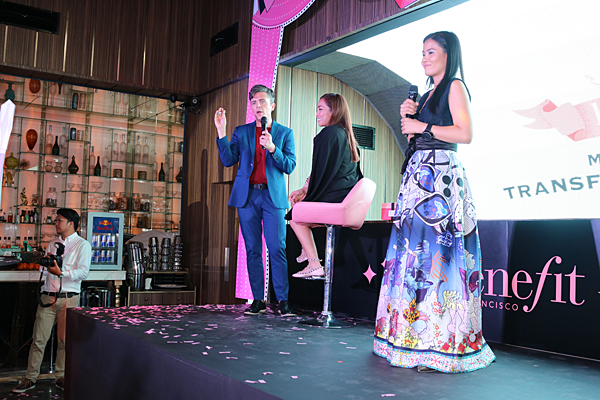 Jared was joined on stage by Benefit Philippine's National Brow Artist Celina Fernandez to talk about the new collection and how best to use the different products. Blogger Alyanna Martinez with Jared Bailey. The best part of the event was then underway. 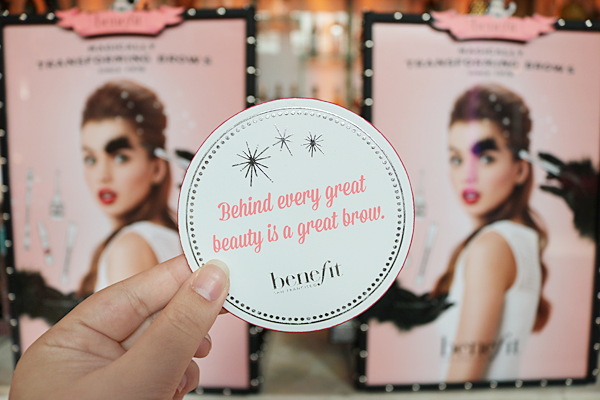 Not only did we get to see the full brow collection, we got to test them all out for ourselves too! 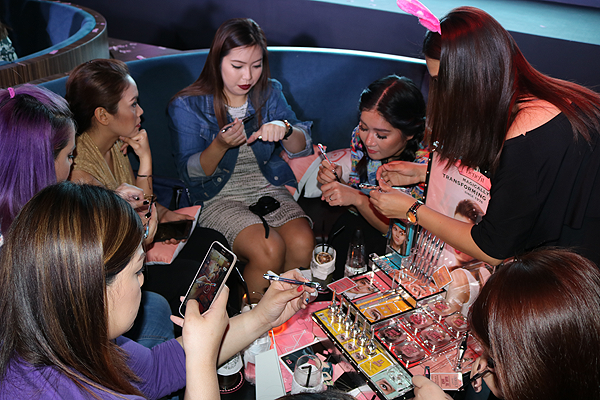 Here are the other awesome, beauty bloggers I was with in their element - swatching and taking pictures. I'm sure some of you are dying to know just what are the products that make up Benefit's newest collection. Don't worry, as I said, I'll be showing them all to you in another blog post very, very soon so stay tuned for part 2! 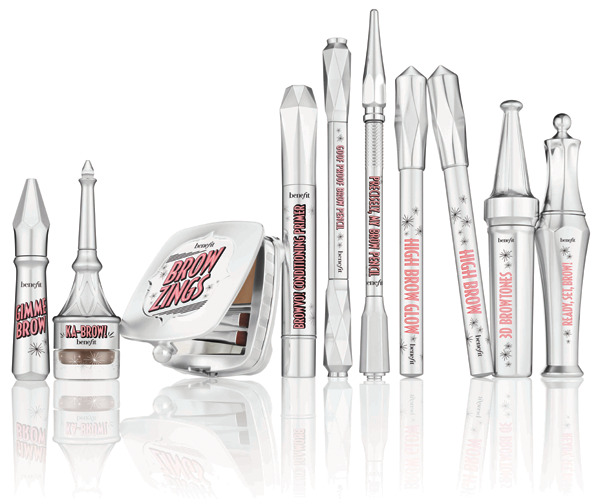 Have any of you guys already seen the brow collection? Do you have any favorites? Which one/s are you wanting to try out? Let me know in the comments!